Toddler hearing problems can be congenital or simply due to an untreated ear infection. How do you know when it is time to worry? When a baby is born, he or she is given a host of screenings. A newborn hearing test is usually given to test for signs of hearing loss. If you are expecting a baby, ask your pediatrician if a hearing test is part of the routine screening process in your hospital. If not, you should request a hearing evaluation for your baby as soon as possible. Hearing goes hand-in-hand with speech. If hearing problems are evident in a toddler, speech and even social skills can be affected as well. Because children learn how to communicate with others by imitating those around them, those who have difficulty hearing may have delayed speech development. This could lead to social and academic problems. According to the Center for Hearing Health, hearing loss affects two out of every 100 children who are under the age of 18 years old. Today, however, many of these children can be helped through early intervention programs and/or technology. Toddler hearing problems are generally divided into two categories: congenital and acquired. Congenital generally refers to hearing loss that was detected at birth, while acquired refers to any hearing loss that happens after birth. Birth complications-This is a rather large category and the reasons vary and could include premature birth, toxoplasmosis, rubella, neonatal intensive care, unusual facial and/or cranial appearance, presence of drugs used for life-saving measures of infant, necessary blood transfusion, herpes, and more. Disorders-A disorder of the brain or nervous system or genetic hearing loss could be the cause. Genetic syndromes-Certain syndromes, such as Down's or Ushers, could also be the cause of congenital hearing loss. 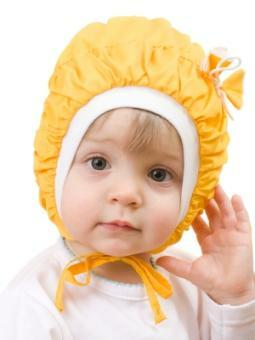 Ear infections-This is one of the most common causes of toddler hearing problems. Ear infections could cause a temporary hearing loss, but infections that are left untreated could create permanent damage. Do not attempt to treat your child's ear infection on your own. Although many pediatricians prefer to wait a few days before administering antibiotics, an ear infection that does not clear up in a few days could cause permanent hearing loss. Even simple wax build up can cause your toddler to experience difficulty hearing. Do not attempt to remove the wax yourself, but instead visit your pediatrician as soon as possible. Other infections/illnesses-Other infections and illnesses that could cause hearing problems include measles, mumps, whooping cough, and meningitis. Injuries-Injuries to the eardrum or head injuries could also cause hearing difficulties. Medications-Certain medications, like ototoxic medicines, could cause hearing problems. Diseases-There are certain diseases, such as Menjere's disease, that can cause hearing loss as well. Does she ignore you when you call her name? Does she answer inappropriately to questions? Does she scoot closer to the TV or ask for it to be turned up? Does he appear to watch your lips when you speak? Does he have difficulty pronouncing words? Does he complain with earaches? While answering "yes" to any of these questions doesn't necessarily mean your child has a hearing problem, you may want to continue monitoring him or her and make an appointment with your pediatrician to discuss your concerns.